A little girl's jewelry box is not complete until she has a radiant ring to put in it. All our refined rings are made of 14K gold and sterling silver styled into elaborate designs embellished with Diamonlux™ Cubic Zirconias. Each Ring is unique just like your little princess including butterflies, flowers, birthstones, hearts, tiaras, crosses, and many more styles to choose from. 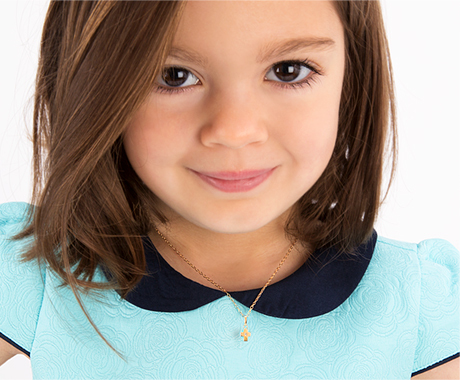 Complete your little girl's jewelry collection with a ravishing ring to match her earrings, necklace and bracelets from Tinyblessings.com!